S5 Shopping Bag - a new online store template from Shape5 developers with support for e-commerce components and Virtuemart RedShop, elegantly combined with the design of this template. Corporate framework Vertex Framework provides flexible configuration and layout allows access to all settings template via admin panel of the site. It is possible to adjust the width of the site, select primary colors and font layout and convenient modular plan position. 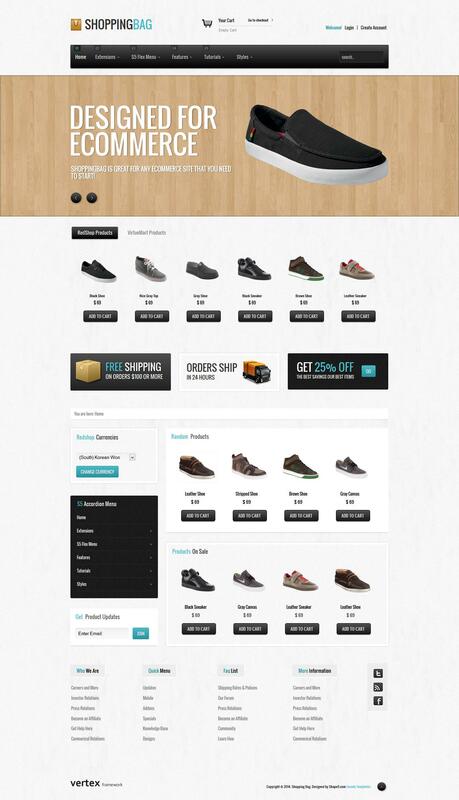 The structure of the template includes corporate S5 Flex Menu for easy navigation.